Have been to Sydney a couple of times in recent months. It is a very photogenic city, especially with the Leica Monochrom in winter. 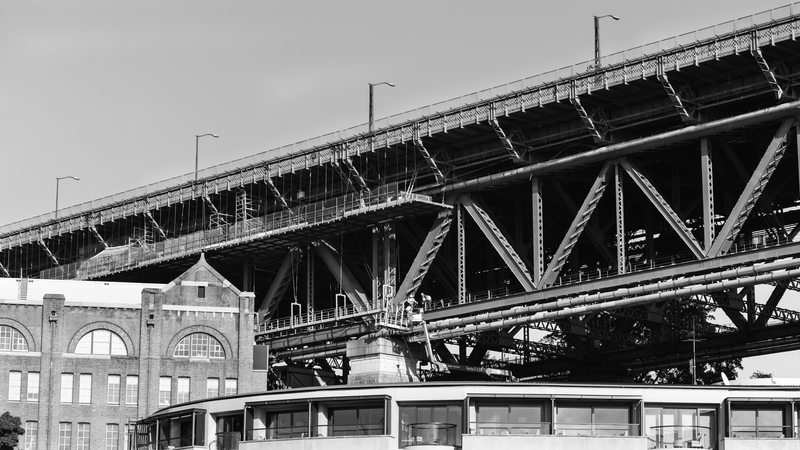 There is so many old stone buildings and large metal objects like the Harbour bridge, which all suit the Monochrom. 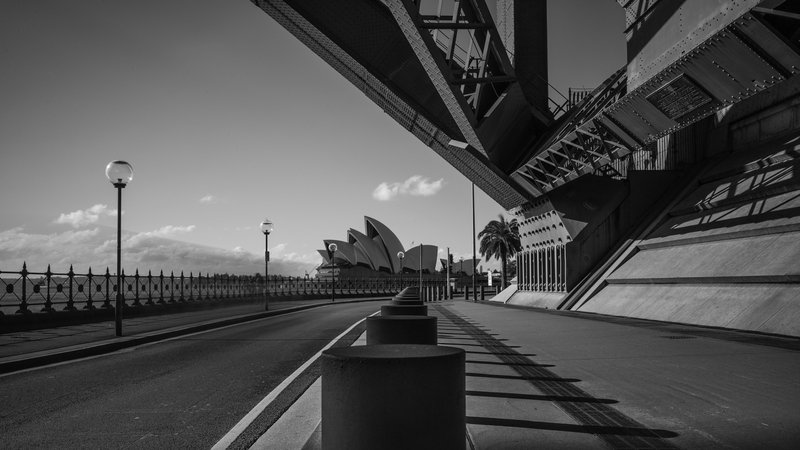 I am not much into the traditional views you will see in post cards, the one above is the Opera House from under the Harbour bridge with 8s exposure at F8, using the Leica 28 Summicron. If you look closely you can see the shadow of a truck that passed through the frame. Owning a motorcycle you always notice others that ride them as well. 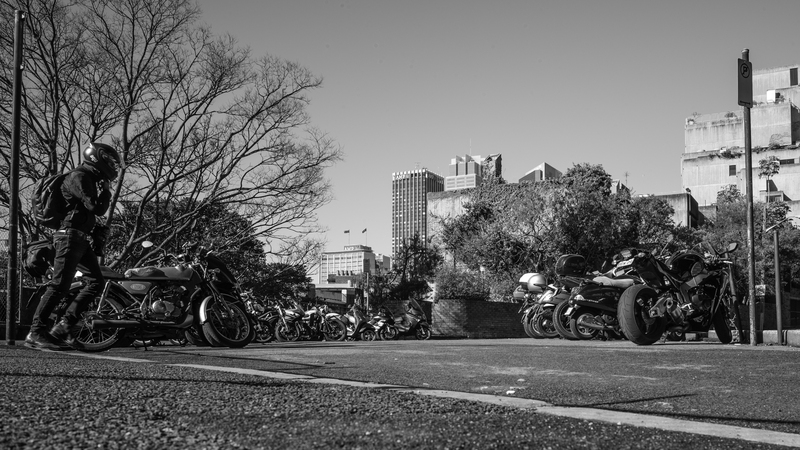 Sydney obviously caters for motorcyclists with this nice parking area near The Rocks. 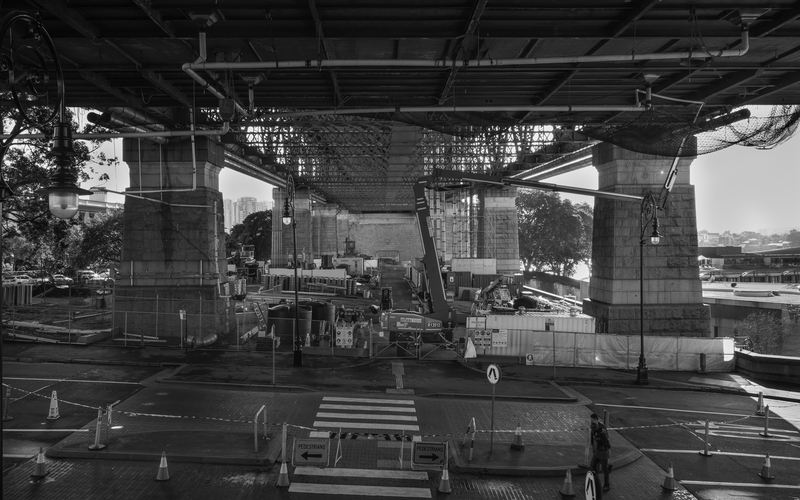 Just down from the motorcycle park in picture above I noticed this great view of the ongoing maintenance required to keep Sydney’s iconic Harbour Bridge in pristine condition. And from another angle you can see the maintenance crew. 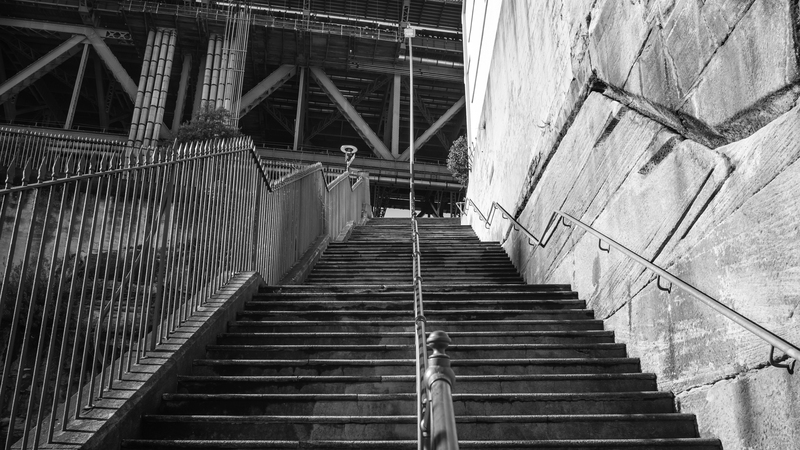 Well I only had a hour or so to shoot before my meetings and got one more shot of what I think were the Hickson steps. Always love shooting steps. Wish I had more time but I was there to work, so an hour in the winter sun is better than nothing. One of my favourite photographers. Loving his black and white work!